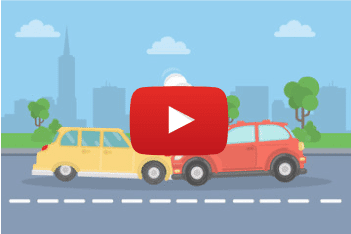 Car Wreckers Brisbane > Video Blog > How it Works? How do Qld Car Wreckers work? How it works- Sell Your Car Using Real-Time Quote. Major Three Steps to getting our car removed and you receive the cash for same. These are the four steps that can be used to communicate with us for top cash for your cars. We are offering quotes for your car over the phone. Dial our number 07 3338 8937 and describe the condition of your car. We also required make and models along with damage, registered, unregistered, running or not running. Although these are the basic things and everybody knows about their vehicle. Once we get these details, our valuation team instant gets you to quote over the phone. We’ve dedicated staff for “quotes over the email” if you fill all required details correctly so we can easily evaluate the estimated value over the email. In this case, if the customer doesn’t explain the overall condition so maybe our team asks such details before sending the quotes. We always value our customer and check our emails regularly; our email system works 7 days a week. Our experts send the desired amount of your vehicle over the email so you could compare our quotes. Everybody believes in instant quotes, so we have chat system where all major details can be shared using our real-time chat. Getting instant chat response over the chat. Once you receive our quote and agree to go ahead, we need the address of your home or office. Our team will come to you to tow your car. Before proceeding to your address we need the right time to pick up by the car owner. When our team reaches your location they will ask you to remove any private documents or other mandatory things from your car before towing. Once our team reaches to you, they will show your agreed quotes and ask for the related documents belong to your car and id proof of car owner. Furthermore, they will give you agreed cash amount along with the invoice and tow your vehicle. Always deal with trustworthy and registered local wreckers so that you can find several positive benefits because you are selling your car for the end of vehicle life. So never cooperate with the quality of services. To getting a trustworthy wrecker there are several ways to find it out. The best way to get the right trustworthy wreckers is to find the right and accurate information about reliable car companies. As we are very professional and reliable when it’s about collecting any type of old vehicle. We always recommend our customer whether they deal with or someone else but always sells to a reliable one. Customer satisfaction is very important for any business to grow and we can easily check it over the internet. It is simple to visit Google and type the name of the wrecking yard so you can find reviews from Google map as well. There is a good option available rating over the Google map.